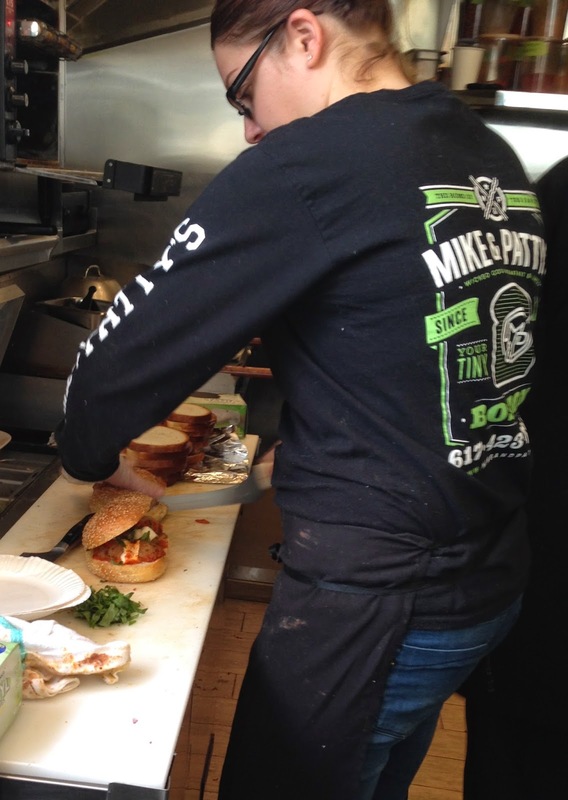 From Mike and Patty’s lips to your ears, they have the highest rated breakfast sandwich in Boston. 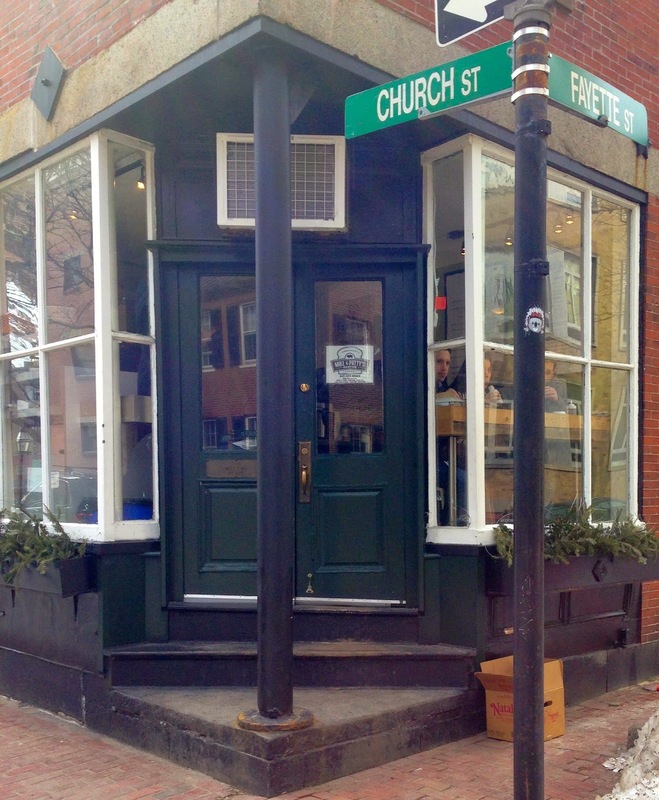 Well, actually it’s a translation of Best of Boston's declaration in 2014, but nonetheless, people realize this joint is serving some top-notch sandwiches at all hours of the day from a tiny shop in Bay Village. It was @bostonania who posted a picture of Mike and Patty’s Liguria sandwich--their version of the Italian--which forced me to stop in to try mortadella, coppa, prosciutto, fresh mozarella, and pesto aioli on Iggy’s focaccia bread. Perhaps it was fate, but upon arrival, it became clear that Mike and Patty’s had changed their menu, and The Liguria was no longer available. With Joey Two Subs alongside, I found myself stuck on their menu with a number of delicious options. A sucker for short ribs, I ultimately chose the Little Village sandwich, a short rib, pork, and guanciale meatball sandwich covered in fresh, San Marzano tomato sauce, fresh mozzarella, and basil. The very friendly and responsive staff commended our orders and went to work in the tiny kitchen. The waiting area and eating area at Mike and Patty's is one in the same, so it's a bit cramped. Expect to grind up on some strangers if you don't call ahead to order and prepare to eat somewhere else if you're not lucky enough to find some of the limited counter space. Luckily we bellied up to the counter to devour these subs and introduce the Meatball Sub Scale to Subs and Stuff Boston. Check out where Mike and Patty's landed in the video. Off the vibes in this joint alone, it seemed this sandwich would be great. I heard the word delicious fourteen times before the first bite, and the first bite did not disappoint. As you can see, the bread on this sandwich has a glorious, sesame-studded crust with an unbelievably airy interior. The billowy insides give way to the molten ingredients cradled perfectly by the crust. The meatballs are downright delicious with a savory and spicy trio of incredible meats. The tomato and basil combine with such a fresh, bright taste that compliments the depth of the meatballs' flavor. And the creaminess of the fresh mozzarella, which beautifully dangles out of the sub after a good bite, balances out the sandwich. The sub is great and the combination of ingredients is absolutely delicious. The nature of the ingredients, all ball-shaped, can render some bites a bit unbalanced: some bites were all cheese, some, all meat. Because each ingredient was delicious, this wasn't necessarily a bad thing, but the combination of all the ingredients made this sub great, and each bite did not have all the ingredients. With a more even distribution, this sub would be worth its weight in gold let alone $10, but as it is, it is a delicious option for any sub fiend with a Hamilton to spend. Did you find a glorious hole in the wall? Next time you pick up a sub or sandwich, send in your own one-bite review or recommendation to the Submarine Savages at subsandstuffbos@gmail.com and add/message us on Twitter (@subsandstuffbos), Instagram (@subsandstuffboston), and Facebook.